Send Chilly Poinsettia on Christmas to your loved ones. L'incontournable plante de Noel. 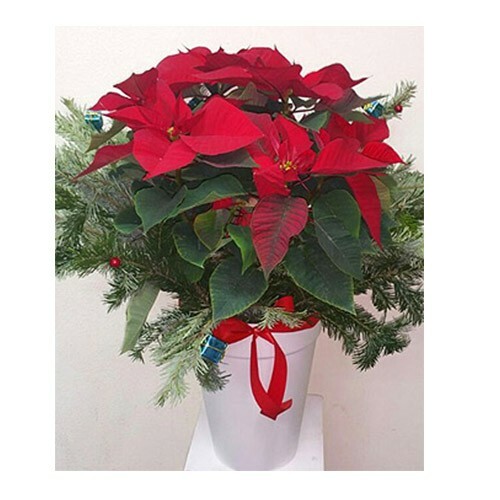 The must-offer plant in a stylish pot and wrapped by the Christmas tree. The arrangement is 80 cm high.